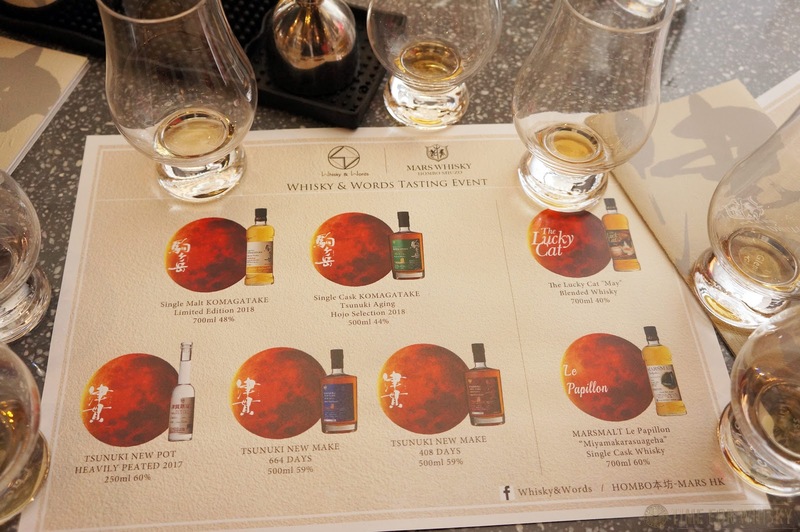 The whiskies in question were those of Mars, under parent company Hombo Shuzo. This was no ordinary tasting though, with Hombo-san (Kazuto Hombo), the President of Mars himself in attendance along with Kusan-san (Tatsuro Kusan), master distiller. 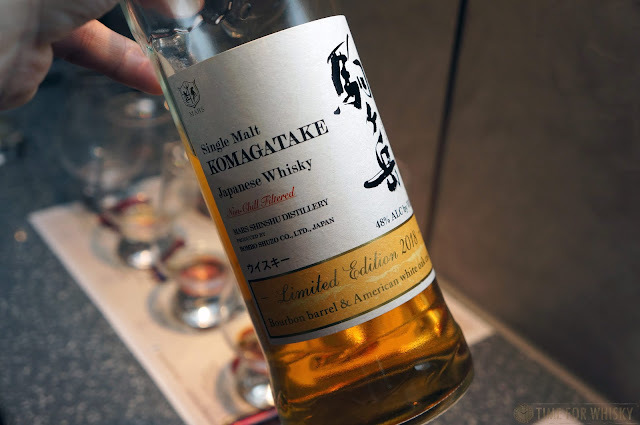 Hosted by good friend of TimeforWhisky.com Eddie Nara, the tasting involved 7 spirits, including some not even yet released in Japan. Eddie and Hombo-san talked us through a brief history of Mars whisky - from their 1872 inception as a Shochu producer, to their 1949 licence to distill whisky and 1960s experiments in whisky (which were not popular), to their later periods of whisky production (1978-1992 and 2011-current). 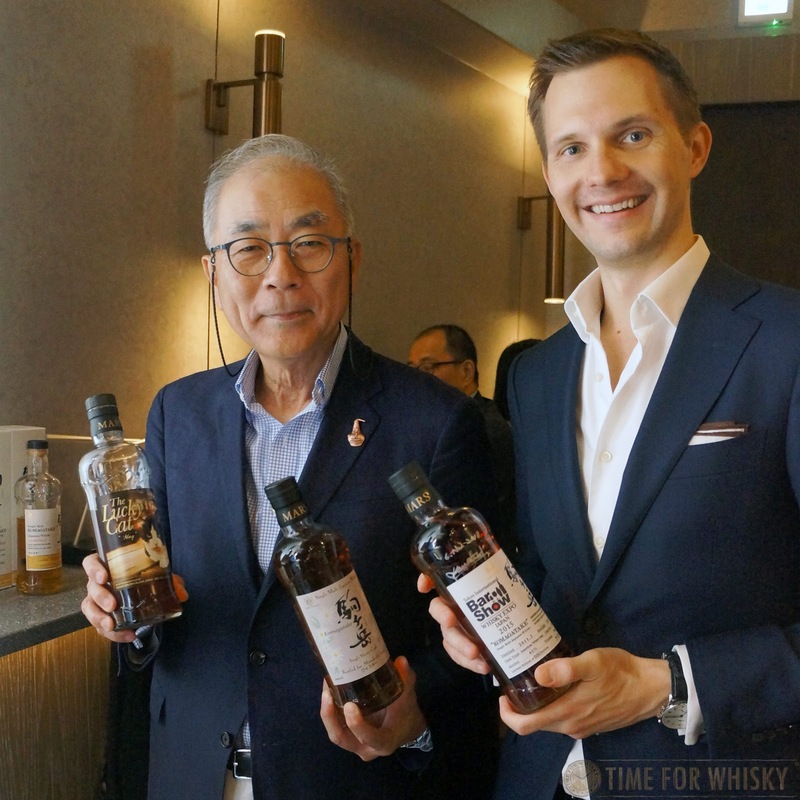 We learned that 1985 saw the opening of the Shinshu distillery in Nagano, and much more recently in 2016, the Tsunuki distillery in Kagoshima (on the site of a previous ageing warehouse) to provide some variety in the portfolio. With 2 distilleries, 3 warehouse locations and 5 different kinds of new make spirit (0ppm up to 50ppm), the Mars whisky portfolio is a diverse one it seems! 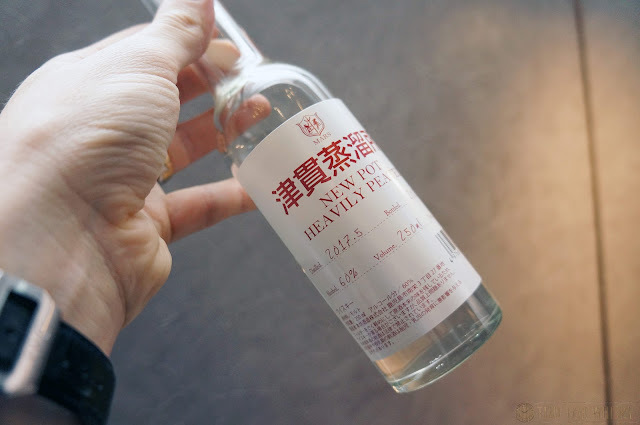 First up was the latest "Lucky Cat" release - "May", the 4th in the series, finished for 18 months in ex-umeshu casks. As a big fan of the first Lucky Cat (which I was lucky enough to buy on release for under $300HKD/$50AUD!) 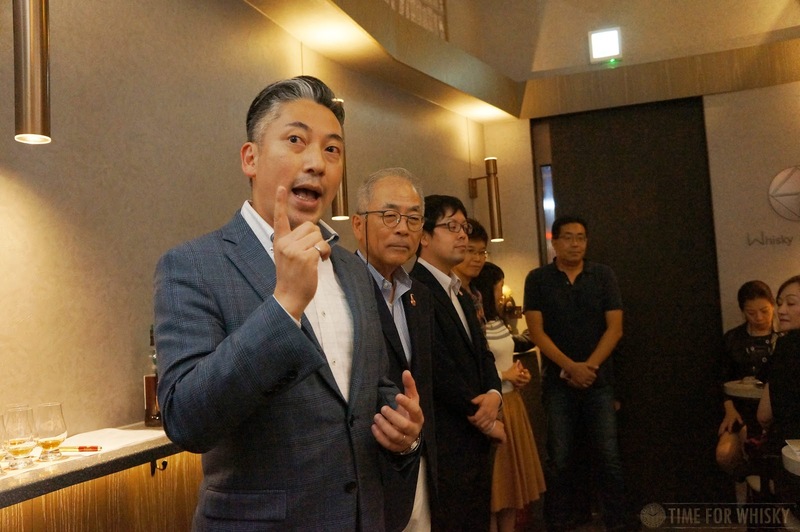 I was looking forward to the latest one, named after a cat found and owned by Hombo-san's daughter, who also happened to be in attendance on the night. Nose: Green apples, apricots, plum wine. Very unique. Palate: Light, sweet, fruity. Some acetone, grapes and plum. Finish: Short, light, with lingering grape notes. Rating (on my very non-scientific scale): 85/100. 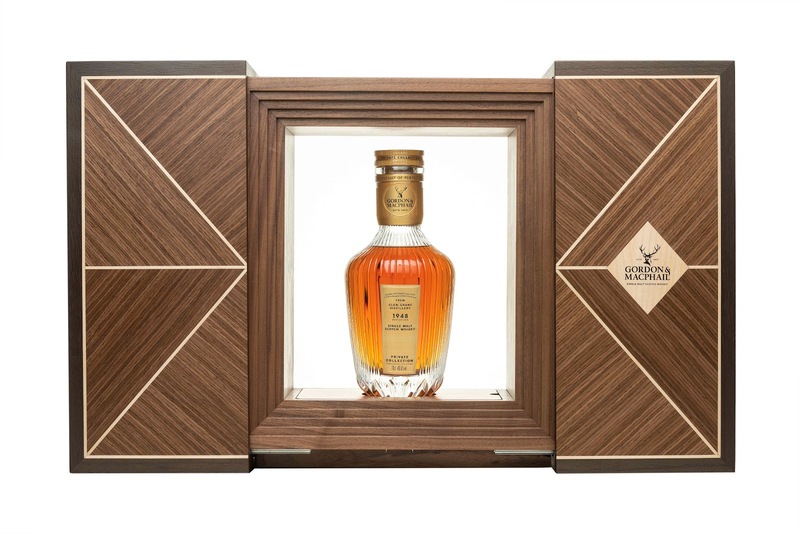 A simple yet enjoyable whisky. Next was the latest Komagatake Limited Edition (2018), aged in ex-Bourbon / American White Oak barrels and bottled at 48%. Nose: Banana, hay, and sweet jelly chews (red frogs). Palate: Sweet toffee apple and banana flan. Some pear emerges after some time. Finish: More toffee apple, with some oak and coffee ground bitterness towards the end (though not overpowering). Rating (on my very non-scientific scale): 88/100. Also simple, though enjoyable - especially for those who like their whiskies on the sweeter, ex-bourbon side. 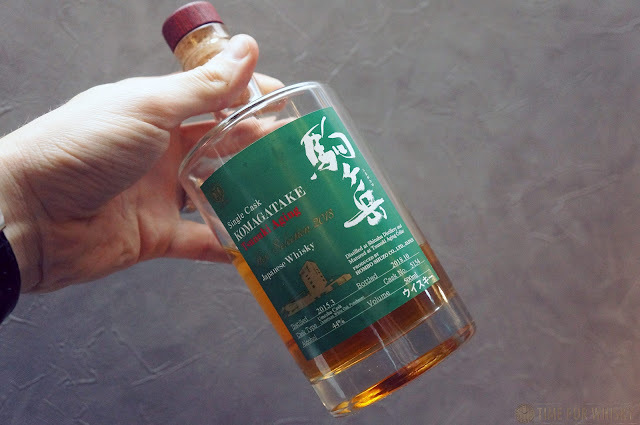 Next it was over to Tsunuki, where this single cask Komagatake was aged (hence the "Tsunuki Aging" moniker). 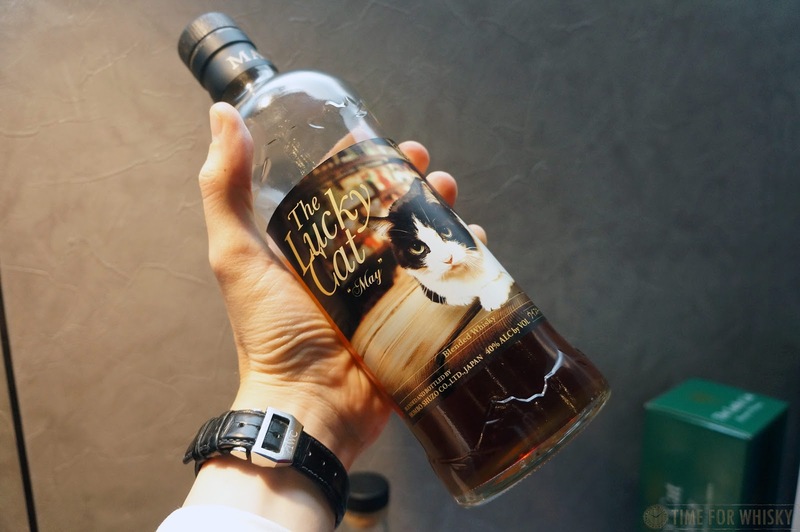 Bottled for the Tsunuki festival to be held the following weekend, the whisky was aged in ex-umeshu casks like the Lucky Cat, but this time for the full maturation - 3 years and 7 months. Nose: Apple juice, cider, almond chews. Palate: Red apples, sweet candy apples, jelly chews (but this time, green frogs). Finish: Oak tannins and toffee apple. 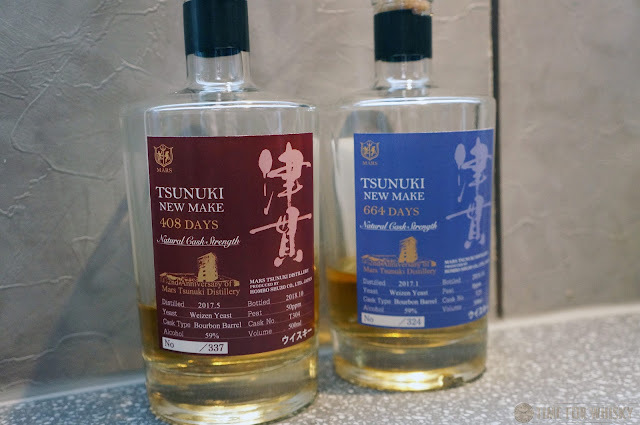 Sticking with Tsunuki, we next tried two "new makes" (aged 664 and 408 days), followed by one actual new make. We were amongst the first people in the world to try this, apparently! Nose: Light and floral. Some grape hubba bubba. 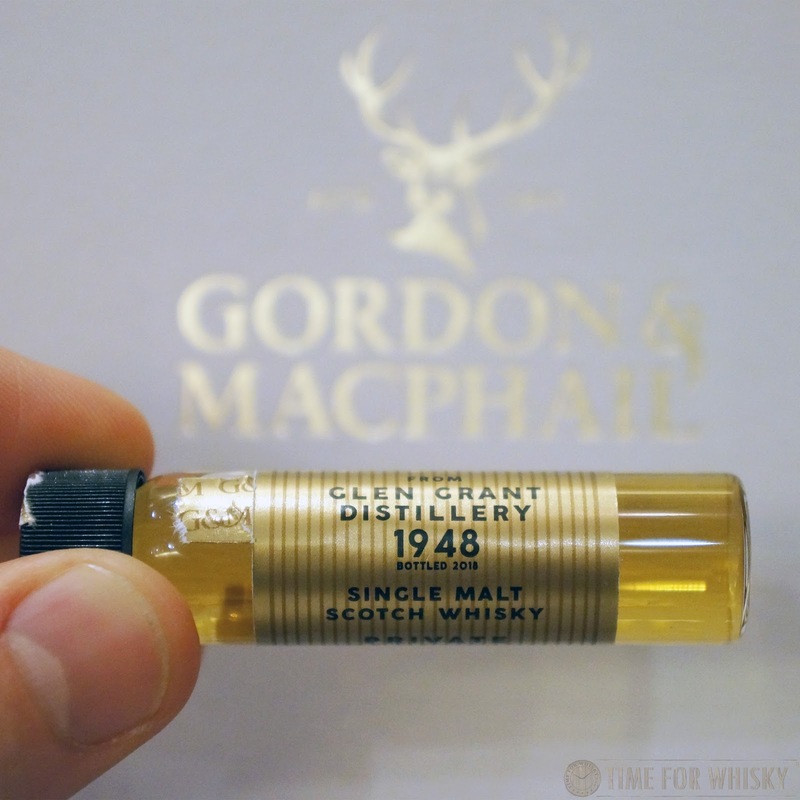 Palate: Rich and oily with sweet grape notes. Finish: Medium length, malty, oaky, with a lingering earthy smoke. Rating (on my very non-scientific scale): 83/100. Simple but showing promise. Nose: Sweet smoke - quite meaty, with a subtle sweet pulled port undertone. 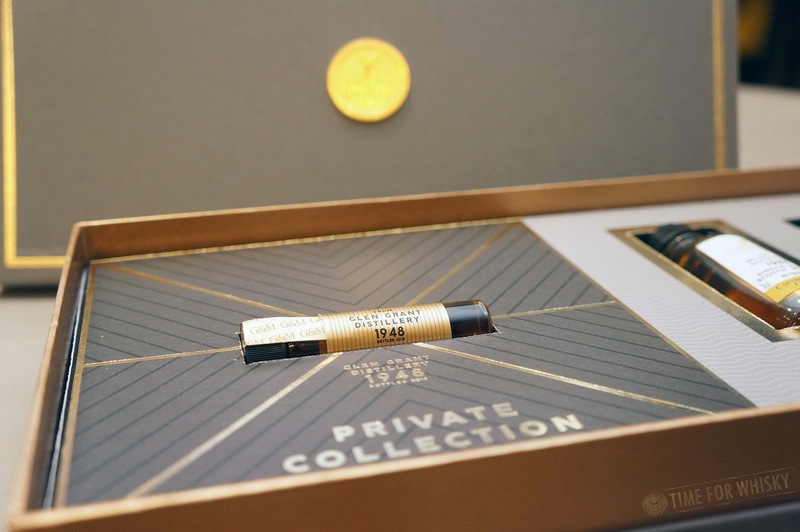 Palate: The smoke is less noticable on the palate, and there's some white chocolate and sweet sugared almonds. Finish: The smoke returns and there's a lingering sweetness to the end. Rating (on my very non-scientific scale): 87/100. A lovely sweet meatiness to this spirit - I'd love to see how it goes after a decade or two in a good cask! Palate: BBQ ash, burnt beef brisket pieces, and then, somewhat interestingly, a lemon-lime sweetness emerges! Finish: Back to the smoke - long ashy BBQ smoke. Rating (on my very non-scientific scale): 85/100. Undoubtedly simple, but actually quite enjoyable! I wasn't the only attendee who said they preferred this to the 664 days! 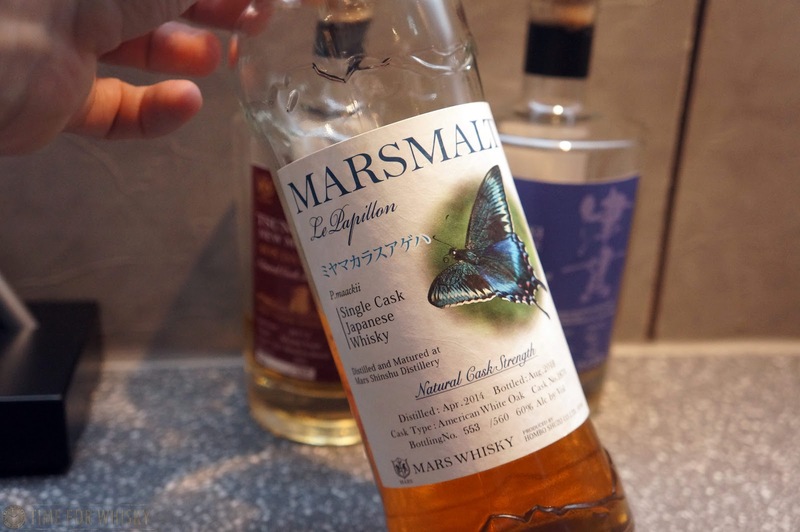 Last but not least came the "Marsmalt Le Papillon" 5th edition, bottled at just over 4 years @ 60% ABV, from a single American White Oak cask (distilled at the Shinshu distillery). Nose: Candied orange peel. Sweet and citrus. Palate: Bitter orange at first, then lemon, then grilled BBQ fish and a salty bitterness at the end. Finish: Medium in length, with slight citrus (lemon) bitter tannins. Tasting a range like this is always fun, especially when it involves such variety of distilleries, spirits and ageing regimes under the one banner (in this case, "Mars"). A big thanks to Hombo-san and Kusan-san for giving up their time, Eddie Nara for his expert hosting duties, and Whisky & Words for the venue! TimeforWhisky.com was grateful to attend this tasting as a guest of Whisky & Words.